A new conference: Python Namibia! The Python community has been fortunate to experience a lot of growth over the last few years, especially when it comes to user groups and conferences. A lot of these meetings have seen huge attendance, with PyCon having sold out the last three years, regional conferences seeing sharp growth, and some monthly meetups occasionally "selling out" (they're free, but attract more than the venue can hold). On top of those existing events growing, we're seeing more events pop up around the world. We just got word that another new conference is starting up: Python Namibia, taking place February 2-5. This first time conference is taking place in Windhoek at the University of Namibia, with collaboration from Cardiff University, giving a group of students an opportunity to attend as part of their studies! "Open-source software represents an opportunity for developing nations to become owners and producers of the software that they need; it's a key to their future prosperity," said organizer Daniele Procida. "There's an enormous benefit to software developers in being part of a supportive community." The conference plans to start with two days of talks, a day of workshops and tutorials, and concluding with collaborative activities like sprints, as well as planning work for hosting a PyCon Namibia in 2016. "We hope that this event will help programmers in Namibia feel that they belong to a welcoming international community that values their participation - and that it will help set a series of virtuous circles into motion," says Daniele. Keep an eye on http://python-namibia.org/ and follow @PythonNamibia for more info! Matching Donations to PyPy in September! We're thrilled to announce that we will be matching donations made to the PyPy project for the month of September. For every dollar donated this month, the PSF will also give a dollar, up to a $10,000 total contribution. Head to http://pypy.org/ and view the donation options on the right side of the page, including general funding or a donation targeted to their STM, Py3k, or NumPy efforts. We've previously given a $10,000 donation to PyPy, and more recently seeded the STM efforts with $5,000. 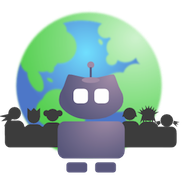 The PyPy project works with the Software Freedom Conservancy to manage fund raising efforts and the usage of the funds, and they'll be the ones notifying us of how you all made your donations. At the end of the month, we'll do our part and chip in to making PyPy even better. The matching period runs today through the end of September. After a thorough evaluation of several potential host cities, the Python Software Foundation has chosen Portland, Oregon as the next location for PyCon. Following PyCon 2015, taking place in Montréal for the second time, Portland will play home to PyCon for 2016 and 2017. "This was the first site I had visited where all of the vendors knew of open source software before I arrived. Because Portland is so familiar with the OSS world, I became confident that as a city, they can help make PyCon 2016/17 very successful," said PSF Event Coordinator Ewa Jodlowska. Portland edged out several other cities in the running, and will make for a great home to PyCon. Several other technology conferences call Portland home, including OSCON, which hosted the last International Python Conference, the precursor to PyCon. The conference will take place in May of 2016 and 2017, a departure from the recent March and April events of the past. "This will be a great time to visit the Lan Su Chinese Garden, Japanese Garden, Rose Garden, and Arboretum," remarked Jodlowska. The city's wide array of restaurants and entertainment will make for an all around great time. "The city offers great coffee roasters, microbreweries, bakeries, pizza, fine dining, crazy donuts, and best of all FOOD CARTS!" Following PyCon's trip into Canada, the Portland PyCons will represent the seventh location of PyCon, coming after Washington, D.C.; Dallas, Texas; Chicago, Illinois; Atlanta, Georgia; Santa Clara, California; and Montréal, Quebec, Canada. As the final dates for the Portland events become available, we'll be sure to announce them here and on the PyCon blog. On Friday, July 18th the board of the Python Software Foundation voted to award both Barbara Shaurette and Katie Cunningham a Community Service Award for Q2 2014. The award is given in recognition of their work to create and run their Young Coders classes, along with freely distributing their teaching materials. The program began at PyCon 2013 and was an immediate success. The followup blog post is the second most popular post in PyCon's history by a wide margin, and the event was one of the most talked about topics of the conference. “I don't think you'd ever see that kind of experimentation in a classroom full of adults, who would more likely do everything in their power not to break their computers,” Barbara wrote of the kids’ ability to learn, write, and run code. Since it's beginnings in Santa Clara it has been run at several other conferences, including again at PyCon 2014 - complete with one day having been taught in French, PyTennessee, and most recently at PyOhio. We thank Katie and Barbara for their work in actively promoting and teaching Python to a new generation of programmers. SciPy 2014, taking place July 6-12 in Austin, Texas, will be the thirteenth rendition of the scientific community’s annual Python conference, and the Python Software Foundation is a proud Gold sponsor. With an expanded schedule to include a third day of talks, the growing conference is expecting to reach nearly 500 attendees. "Last year we had about 330 register for the tutorials and conference. This year we are expecting over 450,” said organizer Brett Murphy. “Last year we had to shut off registration for the main conference when it hit 300 attendees. This year we can handle up to 800, so we'll see where we end up!" The keynote schedule includes three great speakers: Lorena A. Barba, Nick Coghlan, and Greg Wilson. Lorena is an associate professor of Mechanical and Aerospace Engineering at George Washington University, and a renowned speaker on high-performance computing. Nick is a CPython core developer, PSF Fellow, and software developer at Red Hat, where he works on testing and integration systems. Last but not least, Greg works for the Mozilla Foundation and is the creator of Software Carpentry, a crash course in computing skills for scientists and engineers. The PSF supports the conference at the Gold level, pledging $4000 in support of the event. This sponsorship will help to defray the cost of lodging and travel for students attending the conference, reduce the cost of attendance for all members, provide time and rooms for development sprints, and more. Python project contributors and student enthusiasts, mark your calendars: Google Summer of Code applications open soon! Google Summer of Code is an annual, global program pairing student developers with mentors in open source projects for paid summer internships. You can learn more about this year's Google Summer of Code here. Google Summer of Code is a paid summer internship program for college/university students who will be 18 years of age or older on April 21, 2014. 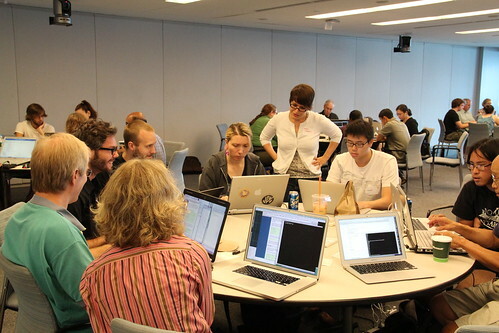 Participating in Google Summer of Code is a great way to develop real-world software engineering skills while giving back to an open source Python project you love. Read more about eligibility in the FAQ. Read the Python Google Summer of Code guidelines. Review this year's projects and their idea pages. If you've never used some of these tools before, don't worry! You have plenty of time to practice. A good resource for getting familiar with these tools is the OpenHatch training missions. March 10: Student application period opens. March 21: Student application deadline. April 21: Accepted student proposals announced. Note that the best way to boost your chances of being accepted for Google Summer of Code is to start contributing to a project before you apply. If you have questions about how to get started or just want some friendly encouragement, visit the OpenHatch project and say hello. for many years, the Python Job board was run by volunteers - most of the time by just one volunteer at a time until they moved on to spend their time on other things. We've now reached such a point again. - which is an indication of how useful this service is to the Python community. To scale up and revive the job board, the PSF would now like to setup a *team of volunteers* to run the job board and this is our call for help. How does the job board work ? At the moment, the job board is maintained on the legacy site , but since we've launched our brand new website, we'd like to move the job board over to that site. Instead of the repository based approach used on the old site, the new site has database support to aid in more easily processing and filing job listings. There's a job board mailing list which helps coordinate the task of reviewing and filing job offers. Currently, all job submissions get sent to this mailing list, but with the job board app, the submission process can be moved over to the website's database. What does it take to run the job board ? You have to review the job postings, request changes if they are too long, don't clearly state the need for Python skills, or have quality issues. After review, the job board app will then allow posting the jobs on the website by simply setting the status to published. Communication with the submitters is usually done by email and via the mailing list, so all team members can see the communication and help out if necessary. Please note: This is just a high level overview. The details need to be hashed out by the new team. Does the job board app work already ? It does, but is disabled at the moment due to lack of volunteers. Since the site just launched there may also well be some issues with the job board app. These are exciting times and this is your chance to make a difference ! Ok, I like new challenges - where do I sign up ? If you have questions, you can write to the jobs list at jobs@python.org or the PSF board at psf@python.org. Over the last few years, the Python brochure team has worked on and created a high-quality brochure to help user groups, conferences and companies using Python to promote and spread the word about Python. The brochure will be printed in a first edition of 10,000 copies which the PSF will then distribute to user groups, Python conferences and educational institutions on request and free of charge. With the Python brochure, we hope to reach out to an audience which is not easy to address and convince using electronic and mostly developer oriented media. The team set out to create and print the brochure without introducing extra costs for the PSF. Our aim is to fully finance the brochure production, printing and shipment to interested parties using money from sponsors. We have already signed up sponsors for 6 half page ads, but still need another 5 half page ad sponsors to sign up. There are also 6 smaller reference entry sponsorships left to be sold. If you are affiliated with or know a company investing into Python and looking for ways to reach out to a large audience of interested Python users, students, developers - and people in key decision making positions, please reach out to us and help make the project a success. The deadline for ad and reference entry signups is Feb 28 2014 - in just under three weeks. Orders can be placed directly with the production company, Evenios Publishing on the website. All sponsors will receive a box of about 120 free copies of the brochure as Thank You gift. If you have special requirements, please contact the team at brochure@getpython.info for more information. We're very flexible in addressing your needs. The calendars are displayed on http://pycon.org/ and in a smaller version in the sidebar of the http://python.org/ website. Created in Oct 2012, the project has proven to be a success as you can see in the past events listed in the calendars. We would like to encourage everyone to submit their 2014 events, so that the Python community can get a better overview over what's happening in Python land. For recurring events, please also include a description of the recurrence in a way that's compatible and supported by Google calendars.